For all my fellow spooky friends, YAY, Halloween is almost upon us! 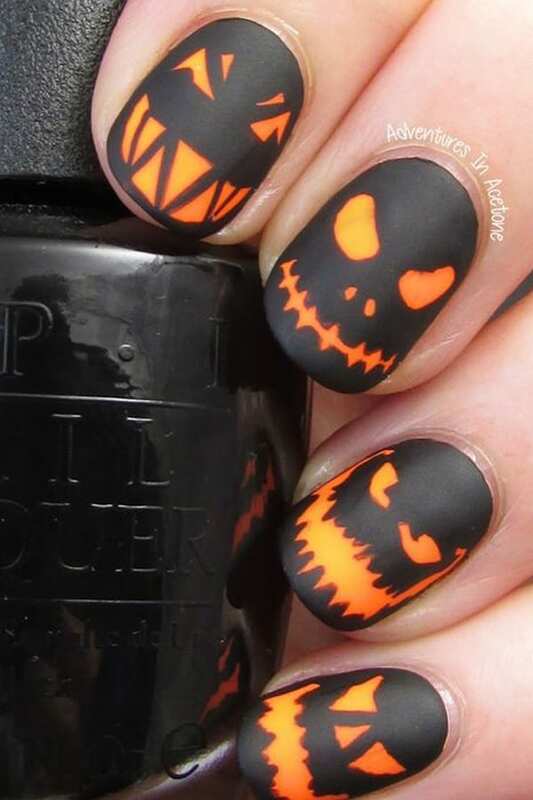 Some of you true Halloween vets, might have already picked out your costume months ago, but for those of you who are more of a, “I’m just here for the party,” kind of woman, you can jump on the bandwagon with small details like CUTE HALLOWEEN NAILS! Sure you could just paint your nails black and orange, but who doesn’t love getting a good manicure with badass nail art? I’m not saying you can’t attempt these on your own, but for those of you who aren’t Pablo Picasso, I recommend hitting your favorite nail salon to acheive these boo-tiful Halloween nails!